As a key cultural and creative brand in Liangjiang New Area, Jinshan E-cool has attracted various cultural and creative projects from home and abroad to settle down since it was officially launched at the end of 2016. The occupancy rate of its first and second phases is 88.12 percent and 88.22 percent respectively, with a total of 151 enterprises settling down. 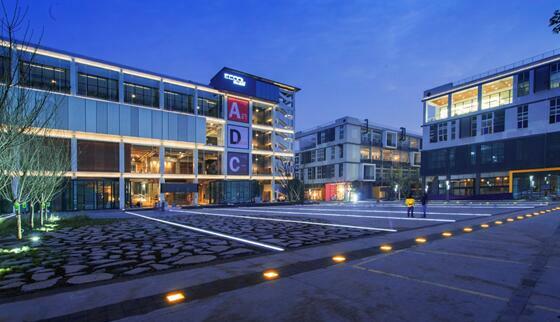 Close to emerging commercial districts such as Outlets and IKEA, Jinshan E-cool Cultural and Creative Industrial Park was transformed into its current state from the old workshops of an export processing zone in Liangjiang, an example of the industrial adjustment taking place in the area. The agglomeration effect for the design industry is taking shape, with enterprises engaged in design accounting for 43 percent of the park. 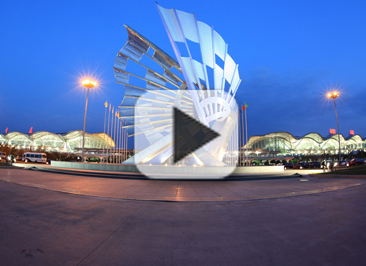 Renowned cultural and creative companies, such as ArtDepot Center and Jingyang International Golf Academy, are among those that have settled down there. Jianshan E-cool has held plenty of exhibitions, academic exchanges, salons and public education activities since it opened, providing the public with a platform to experience creative designs and lifestyles. It will be built into a public platform for Chongqing's domestic and global art exchanges, as well as becoming the most dynamic and influential cultural and art design center in Western China. In order to improve the supporting facilities of the park, the third phase will specially build a high-quality theme dining street. It is expected to be delivered to enterprises at the end of December this year and be open to rent in January 2019. It's estimated that there will be around 300 cultural and creative design enterprises settling down in the park and creating more than 10,000 jobs when the park's operation is more developed.